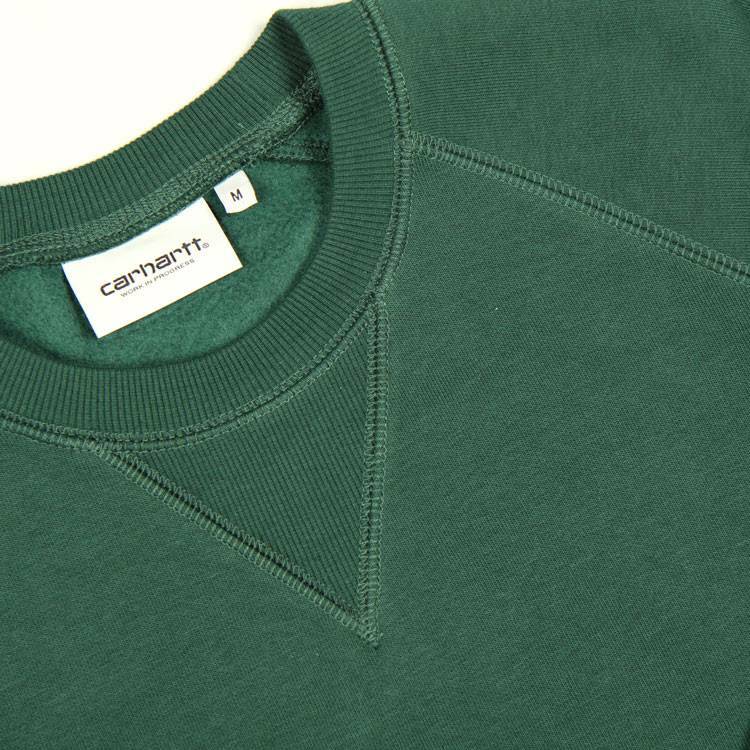 The Carhartt Chase Sweat in Bottle Green/Gold is a cotton mix sweatshirt. The fit is regular and we recommend going with your normal size. 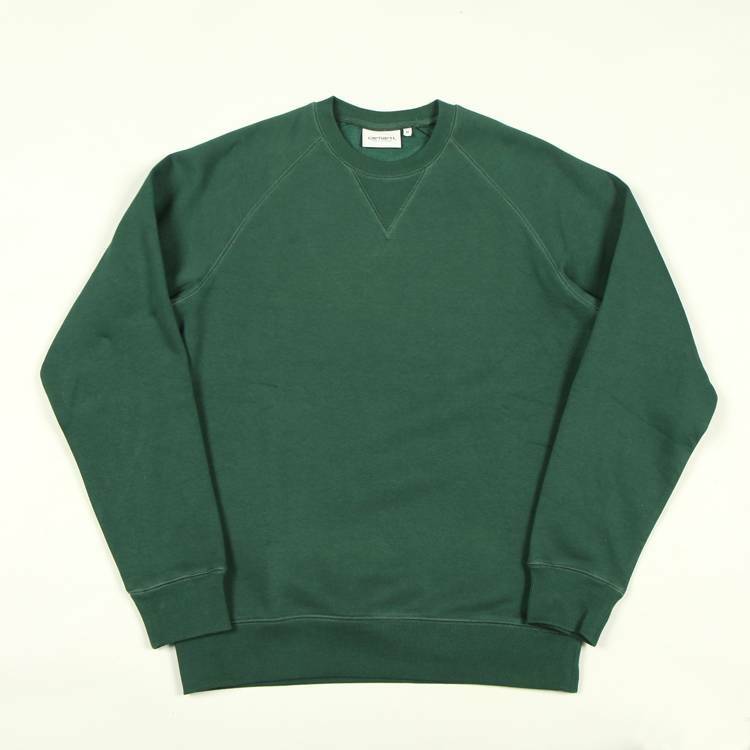 Features include a 'v' insert at the neck with lightly ribbed collar, cuffs and hem. 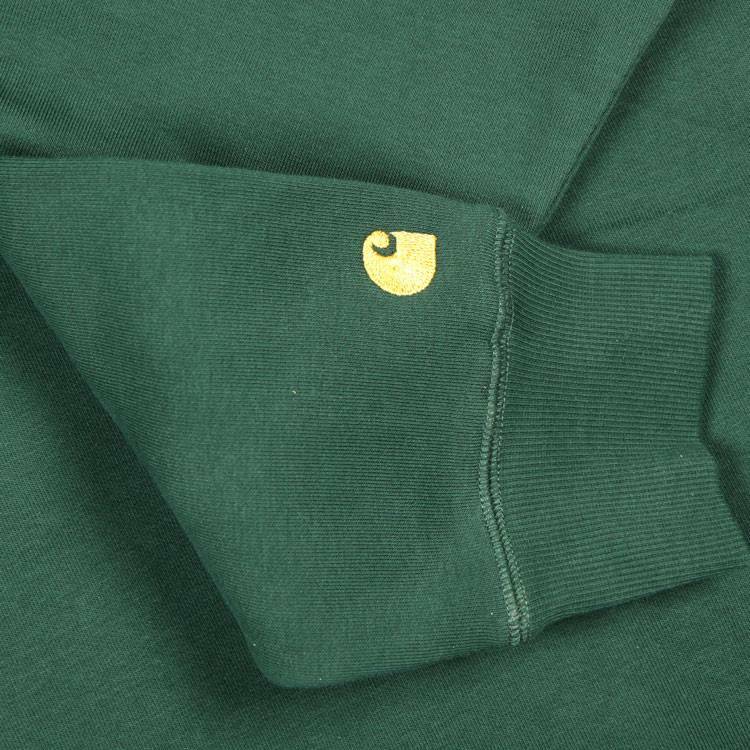 Finished with a Carhartt logo embroidered on sleeve.